A delicious selection of dried fruits and spices, soaked for 2 days in local Cognac, Pineau and Muscovado sugar. 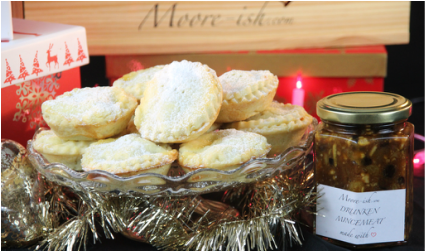 You don't need to wait for Christmas to make Mince Pies, you can use this as a base for a delicious upside down cake too. Suitable for Vegetarians. Also a Gluten Free version available upon request.